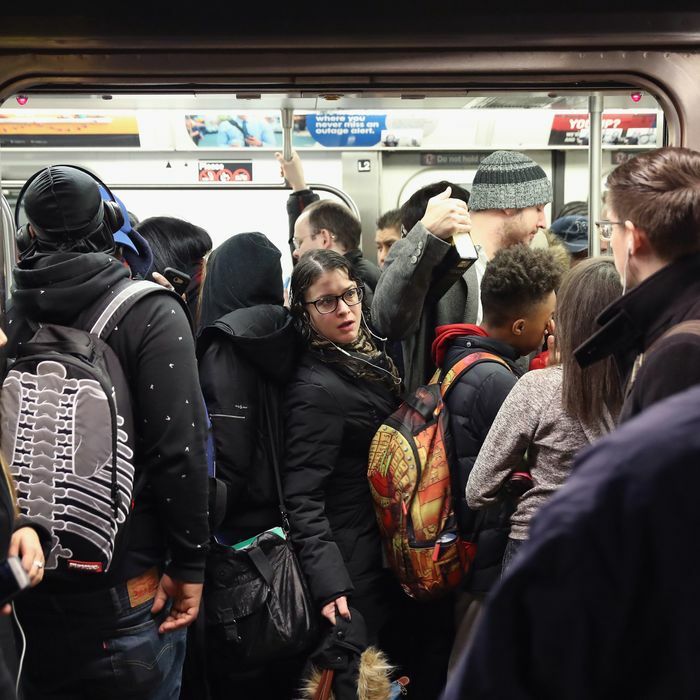 Ask a transit expert why the MTA is such a disaster, as New York did last summer, and they’ll cite some combination of aging technology, crumbling infrastructure, depleted budgets, and, the issue that’s gotten the bulk of attention in recently, overcrowding. The intentional slowing of trains is traced back to a 1995 J train crash that killed the a conductor and injured dozens more. After that, Gordon writes, the MTA hit the brakes. Maximum train speeds were reduced from around 55 mph to 40 mph. Speed limits were also introduced, along with consequences for breaking them. In some cases, if speeds limits aren’t met, a train’s brakes are automatically tripped. Recovering from that can take one to ten minutes, Gordon writes, and the transgression is noted in a conductor’s performance file. That affects not just the conductors that have to sit in time-out for going too fast, but those who intentionally go very slow to avoid the punishment. Speed regulations around track work are also more stringent than they used to be, the report notes, requiring trains to move at a glacial speed as they near a work site. All of these changes were implemented with safety as the primary focus, the MTA says, but one driver told Gordon that speed and safety aren’t mutually exclusive. “They always act like speed is unsafe, but you can run trains quickly without sacrificing safety if you have competent management,” he said.